I’m on a mission. A hair mission to be precise, and one in which I have zero patience with. After too much bleaching and lightening and re-colouring, my hair has started to get much weaker due to breakages, and a loss in volume and shine. So it’s time to go back to my roots: I’m growing through my natural colour and kissing goodbye to my regular highlighting hair appointments. I have used a number of hair vitamin supplements over the years, but never really noticed too much difference enough to buy the same brand again. I think… touch wood… that this time this has now changed. 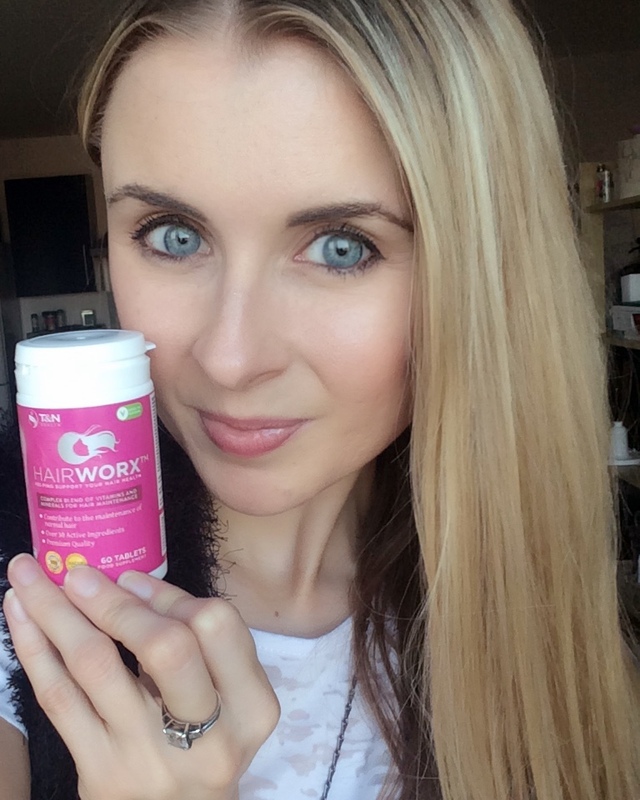 As mentioned above, I’ve been taking Hairworx Hair Vitamin tablets for faster hair growth, from T&N Health. They contain a blend of over 30 active vitamins and minerals to enhance the growth rate of hair, by making sure the body has the ultimate intake of essential vitamins the hair needs to grow to it’s maximum potential. They contain only vitamins and minerals – Vitamin A, Vitamin C, Vitamins B1, B3, B5, B6 and B12, Vitamin E, together with Zinc, Folic Acid and Selenium, which are also proven to help aid healthy growth for nails too, and maintain healthy skin. Sometimes, with our busy lives, we lack the required intake or certain vitamins which really help hair to grow, including all those mentioned. A helping hand of a vitamin with all hair loving minerals included is sometimes needed to ensure our hair can grow to it’s best potential, and encourage the growth to speed up a little. It’s been just one month and I have noticed my darker roots are much more visible than they have been for the previous months, and the hair growing through looks lovely and healthy, with a nice little shine. In one bottle there are 60 tablets, for £17.00, so at one a day it gives you two months worth. I am really excited to see what I am noticing once the bottle is finished, and hopefully I’ll be that impressed that I’ll order another to see me through another two months! I’m hoping to see an improvement with the thickness of my hair, as it has gotten very fine lately and a little bit more ‘ooomph’ at the roots would be lovely to see. If you are considering a hair vitamin for some extra support, check this one out here. Continuously brushing your hair, especially when wet, can be horrendous for the hair. It encourages breakages and snapping, meaning the ends of your hair look much thinner, encouraging more inches being cut off. Which will never help you grown your hair luscious and long! Brushing is obviously needed to detangle hair, but it also pulls hair out and breaks the ends if done too hard. Once hair is wet, apply your products and leave to dry naturally for 10 minutes if you can, raking your fingers through hair length to detangle as best you can. 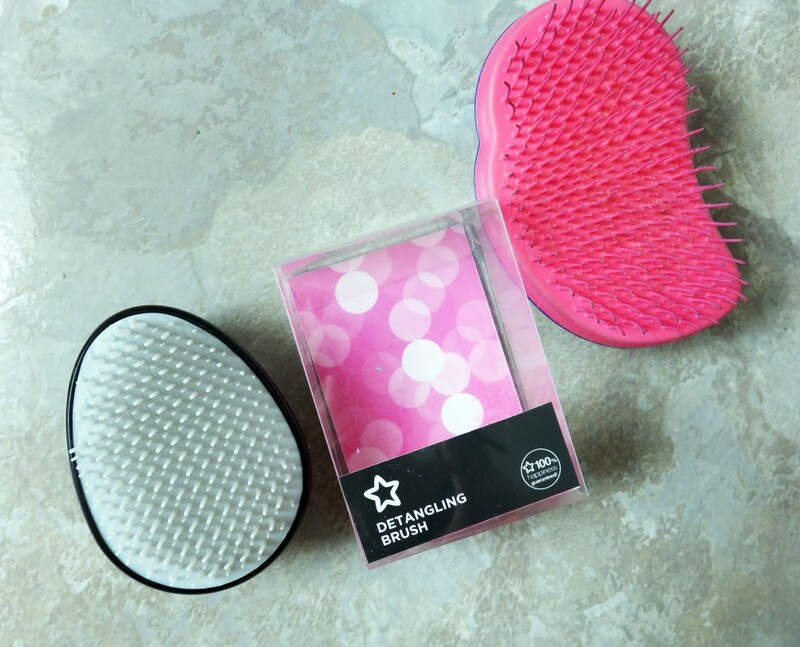 Then use a detangling brush such as the Tangle Teaser, or the above version from Superdrug, to lightly tackle any knots and trick bits. Be gentle! We all know that we are what we eat, so I won’t lecture about the types of foods you need to be putting in your body to encourage healthy hair growth. Instead, I’ll just list a few key foods which have hair loving properties so you can try to work out ways of incorporating them into your diet: avocados, nuts, rice bran, dark green vegetables, salmon, Greek Yoghurt, eggs, iron fortified cereal (Weetabix), oysters and spinach. My one main food tip is that protein is what your hair is built up – so have a diet full of protein to ensure you are getting enough in your system. Chicken is always a good meat to provide this. Healthy hair growth mostly comes from within, but there are elements you can use externally to help look after your hair the best you can whilst you are trying to speed up the growth. Heat protection, leave in conditioners and strengthening products are all key to helping your locks stay that little more rejuvenated and strong. 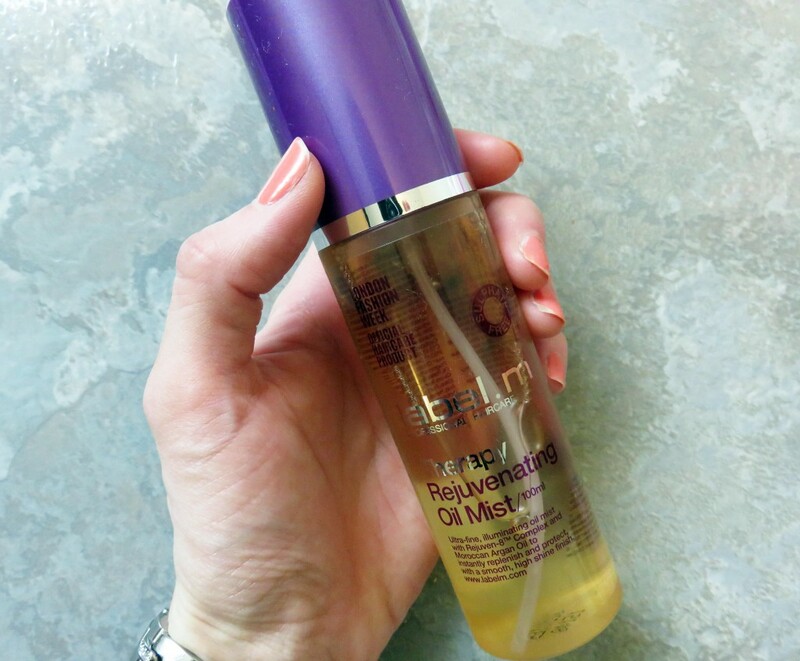 I’ve recently been using label.m Therapy Rejuvenating Radiance Oil (£26.25) on damp hair before blow drying. 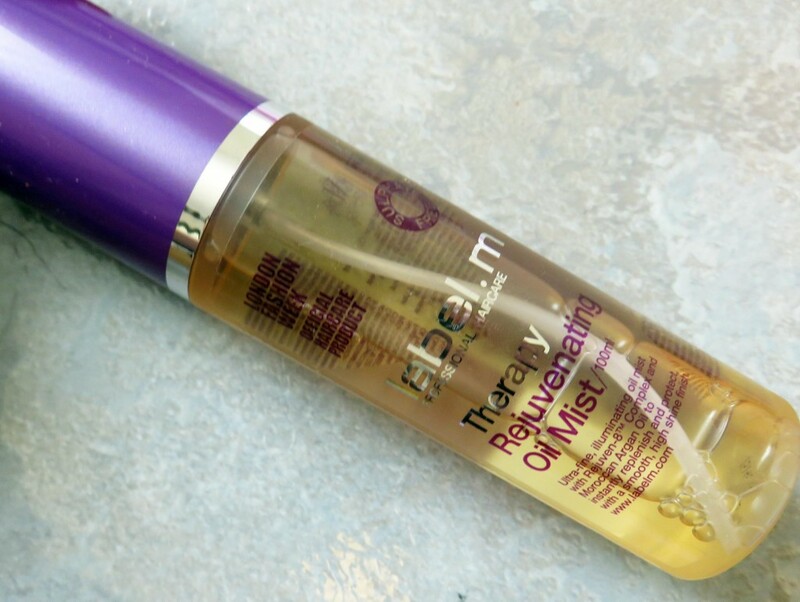 It is an intense yet ultra-light beautifying oil mist, which is formulated with a ‘Rejuven-8tm’ Complex and Moroccan Argan Oil which is moisturising for hair and provides protection. It’s really key to use a product on damp hair which is both protecting and moisturising, so that you are working on strengthening and keeping hair soft and well conditioned. I’ve found that with using this product on every wash, it has been working to dramatically transform my dry, damaged hair, into a more shiny and healthy looking finish. It also has a non-greasy formula and is quickly absorbed. Using a product similar to this will help your hair look strong, radiant and youthful, meaning less messing, meaning healthier locks! Your hair needs a constant flow of blood to the head to carry oxygen to the hair, enabling faster hair growth. When I blow dry my hair, I tip my head upside down and try to get the blood flowing to help this along. I know this isn’t easy for everyone to do, and if this isn’t appealing, then take a little time out every day to run your fingers softly through your hair and massage your scalp. Take time to do this in the shower too, making sure your scalp receives some TLC. So there you go, a little round-up which is worth keeping in mind. I’ll be posting again on this subject after I have finished my bottle of Hairworx, reporting on the continued progress I am seeing.